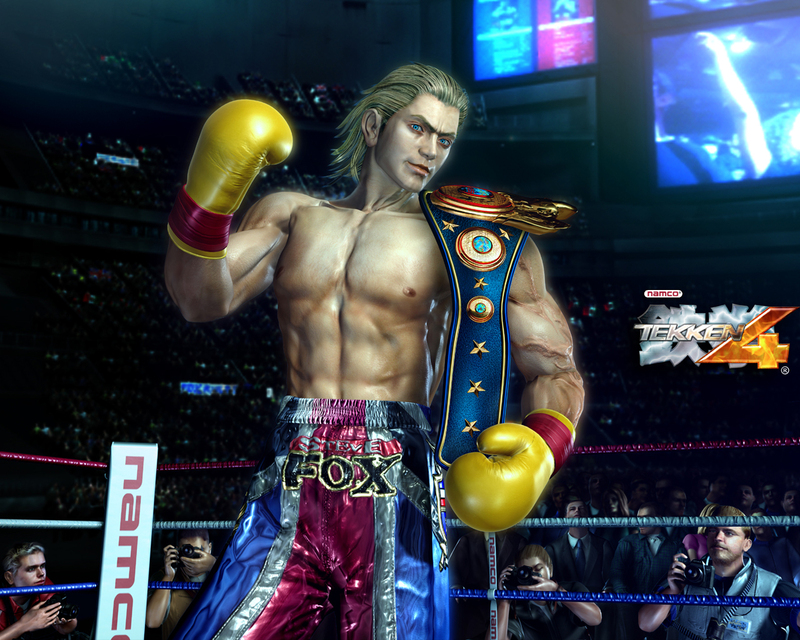 As a young British boxer enjoying his run as the world middleweight champ, Steve Fox was at the top of his game. 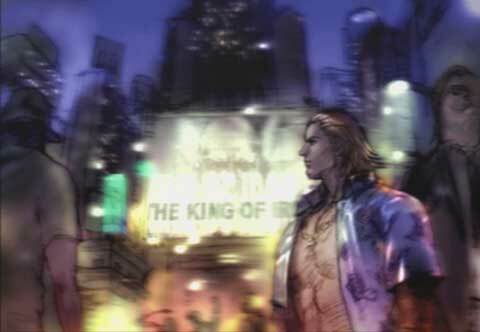 He had everything he wanted, except for one thing - his past. 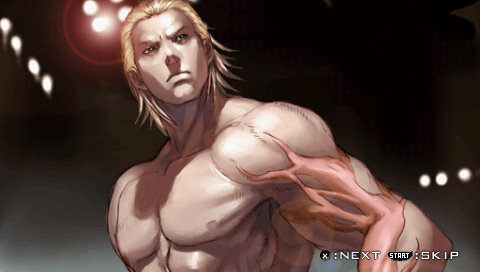 Adopted in his infancy, Steve never knew the identity of his biological parents or the origin of the scar on his arm. 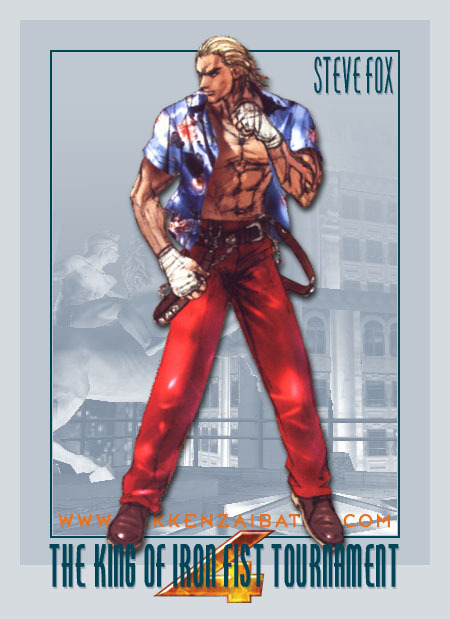 One day, Steve is ordered to throw a fight by a Mafia betting high stakes on the fight. 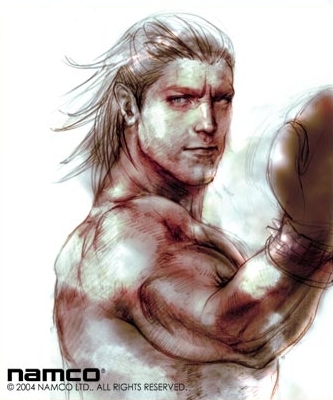 Steve refused to cooperate and won the fight regardless of the threats made against him. 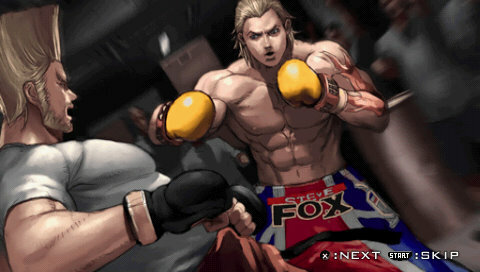 Unfortunately, the Mafia made good on their threats and put a price on Steve's head. 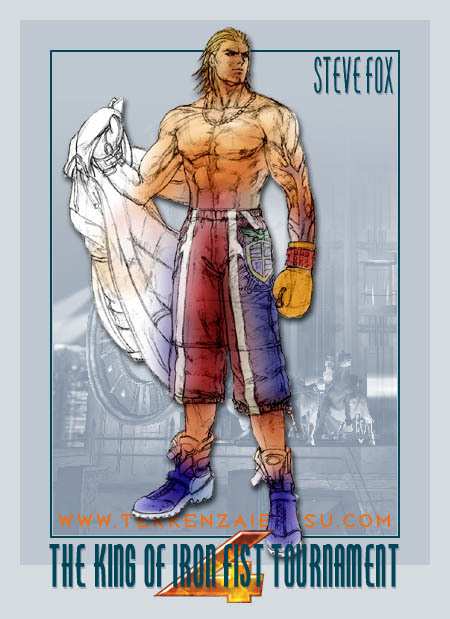 With the Mafia in hot pursuit, Steve fled England for the United States to lead the life of a marked man. 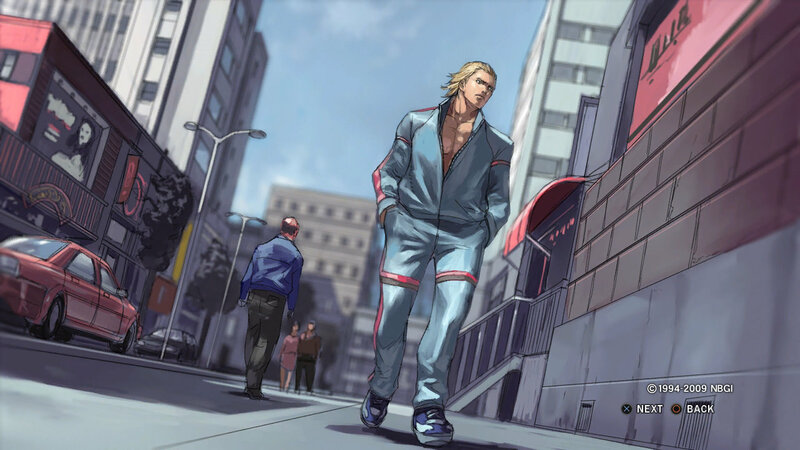 But no matter where he hid, he could not completely shake the Mafia henchmen. 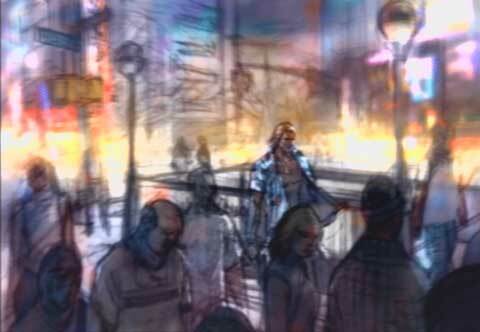 Steve realized that no matter what he did, the Mafia would eventually catch up and kill him. 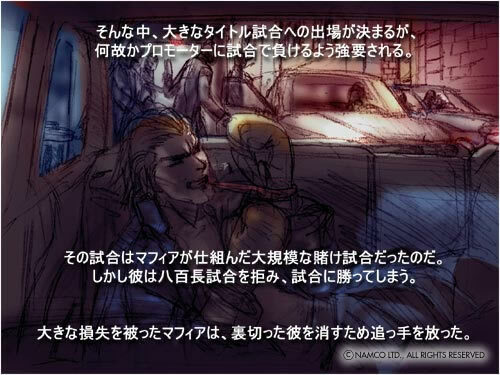 No one would ever know that he was killed, nor would he ever learn the truth about his past. 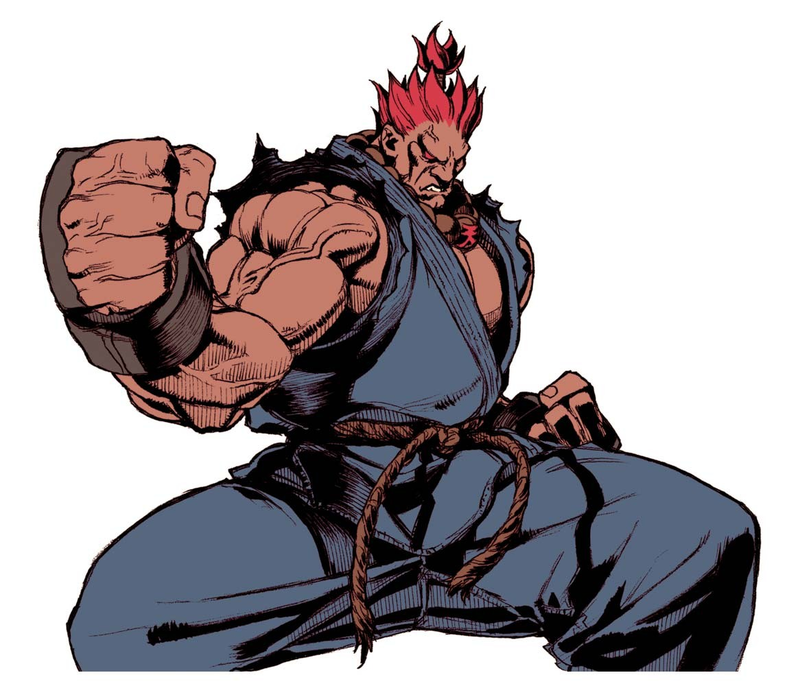 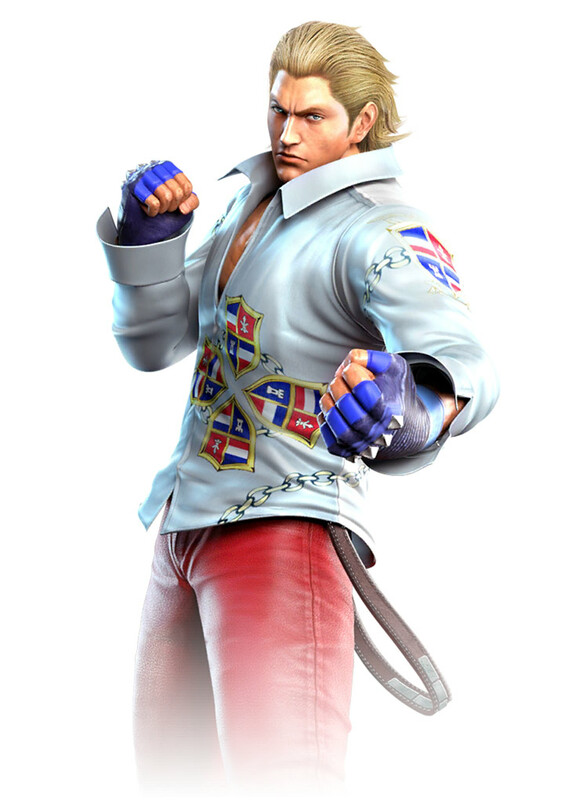 With this realization, Steve decides to put himself in the limelight again and enters The King of Iron Fist Tournament 4. 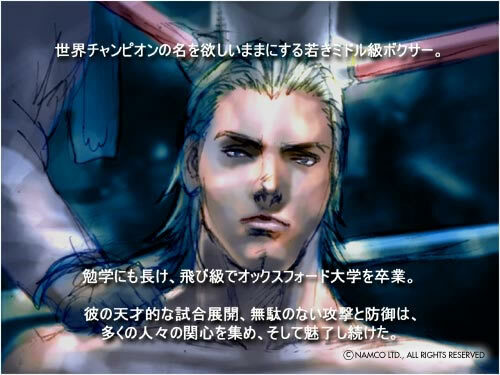 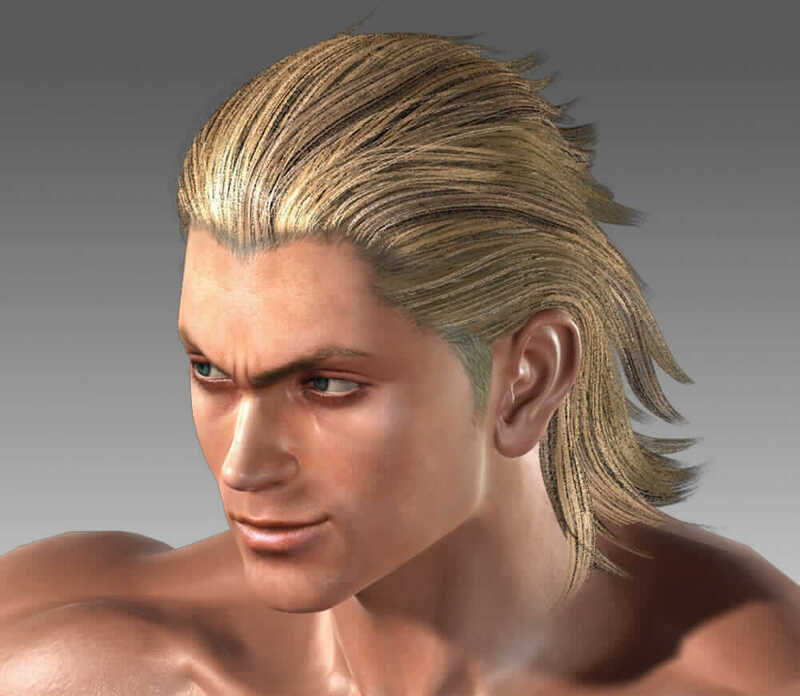 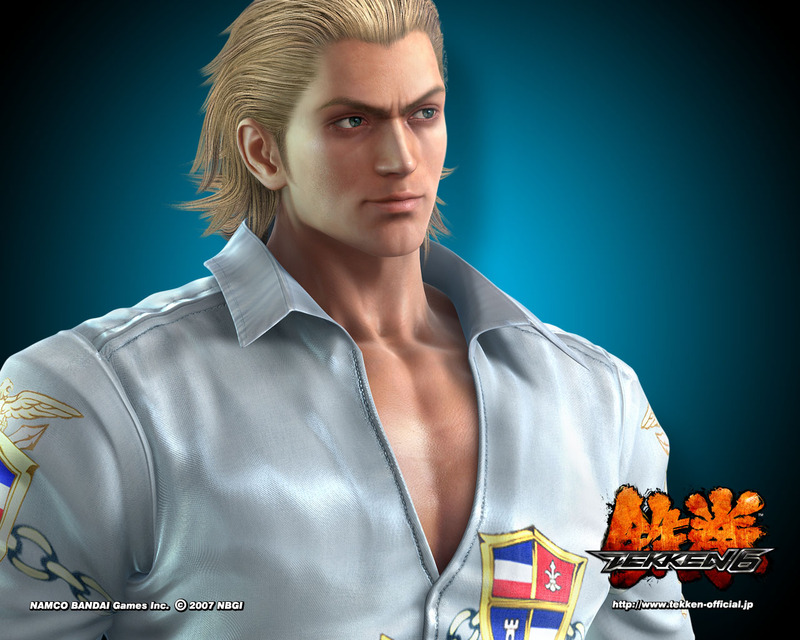 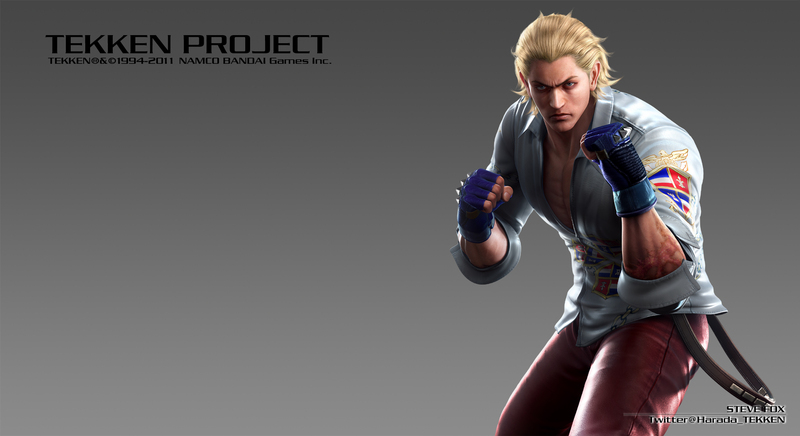 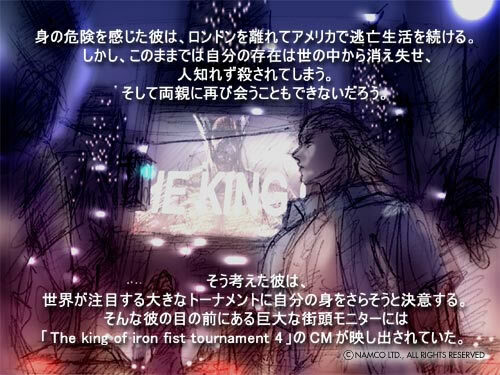 At the end of The King of Iron Fist Tournament 5, Steve Fox had destroyed the research institute of the Mishima Zaibatsu, and finally settled a long-time feeling of resentment. 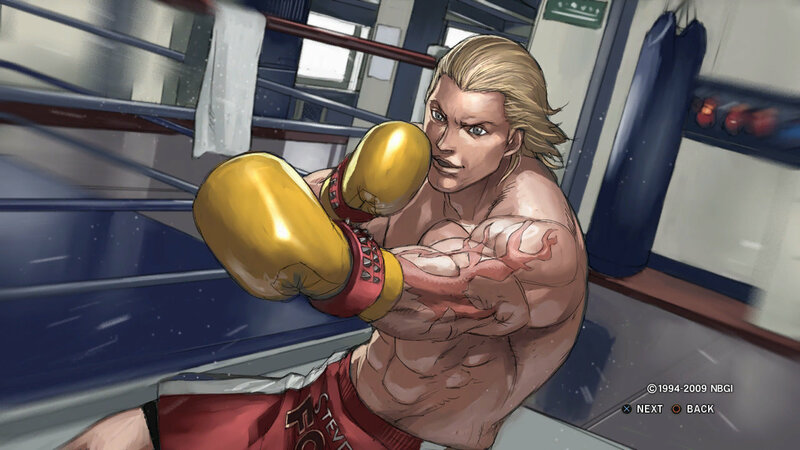 Steve was intent on returning to the world of the boxing again, but the majority of major boxing meets are canceled by the war that broke out all over the world. 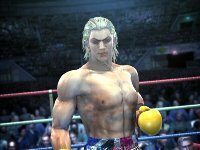 Steve, who knew no other trade than the boxing ring, had effectively lost his job and his passion, and went into depression. 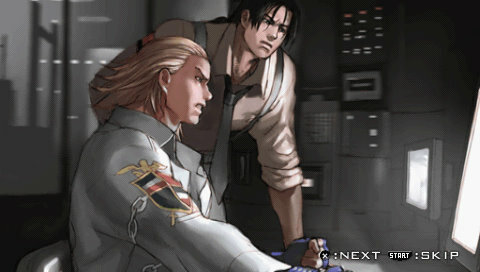 Soon after, he received an invitation to train together with Marshall Law and Paul Phoenix. 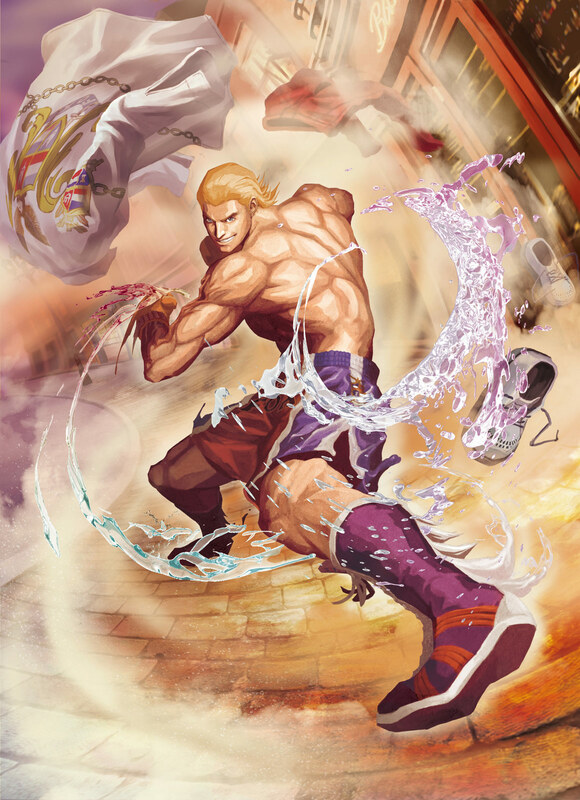 Steve, who liked the idea of training in a martial art other than boxing, accepted. 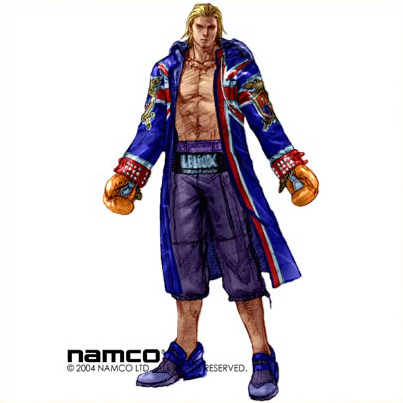 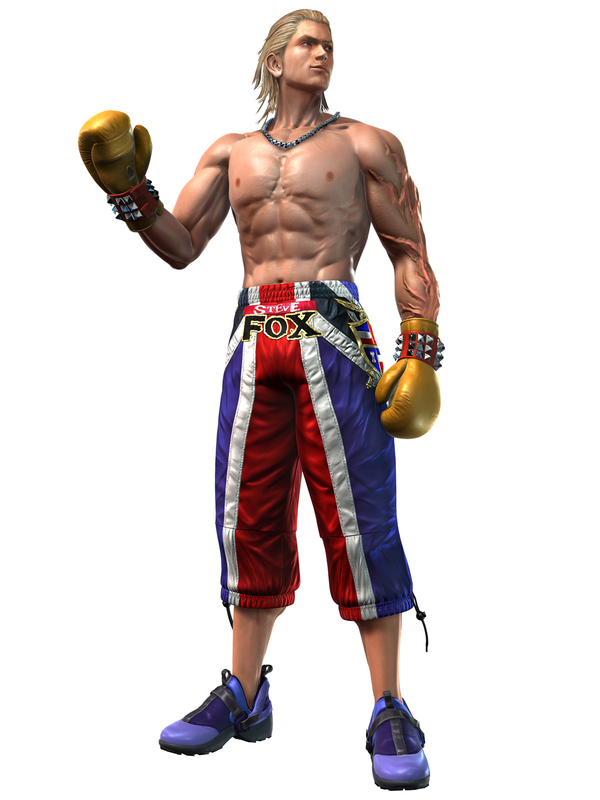 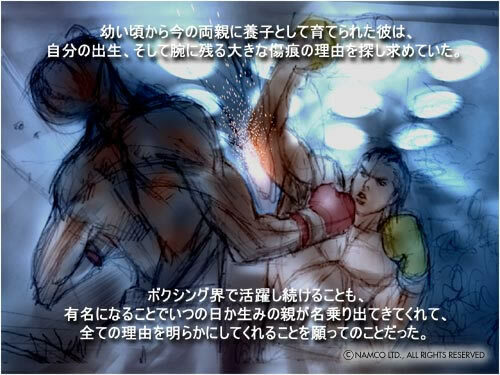 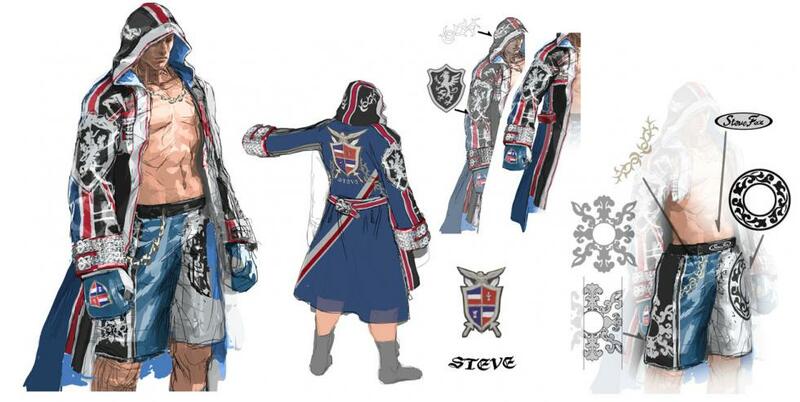 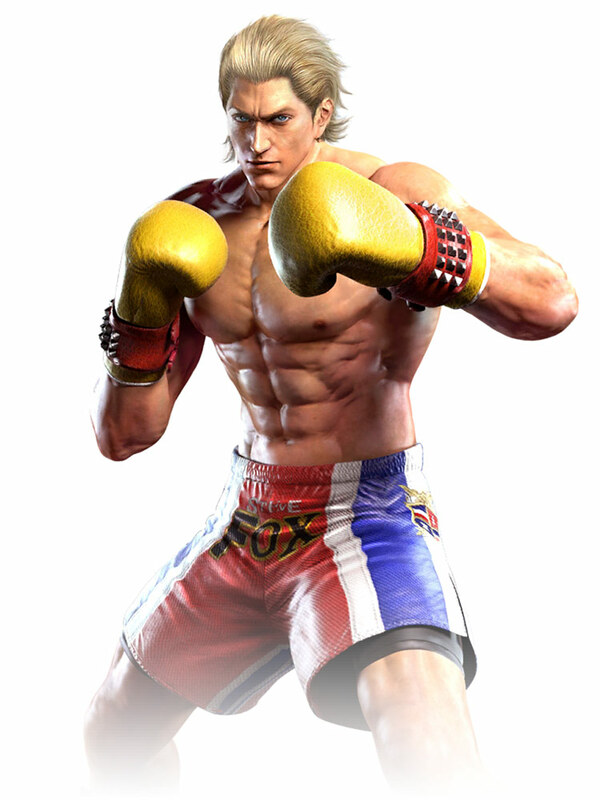 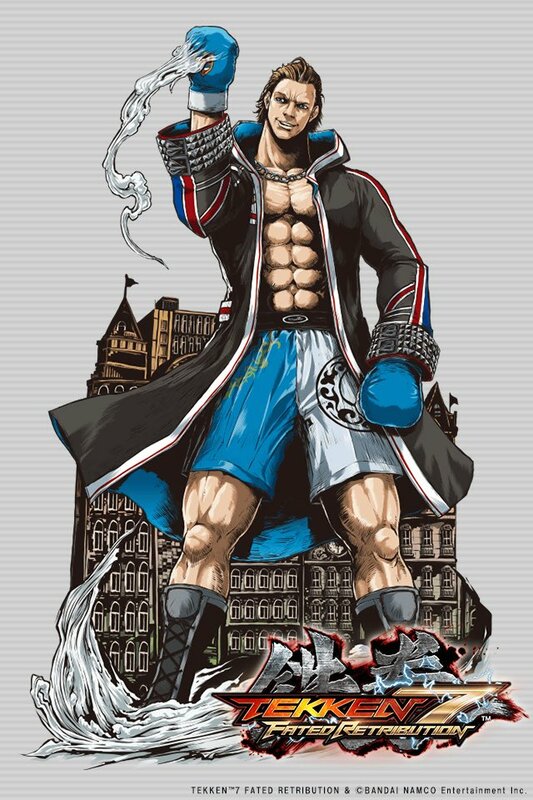 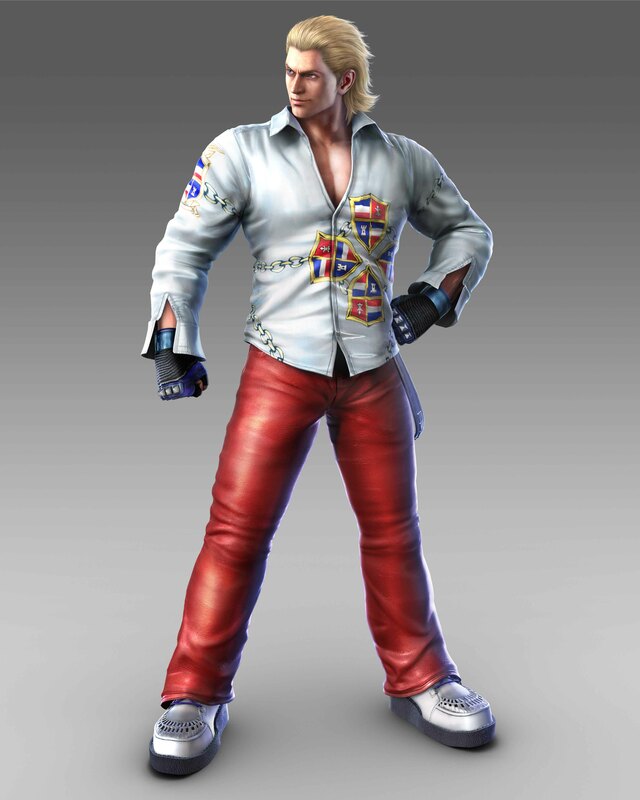 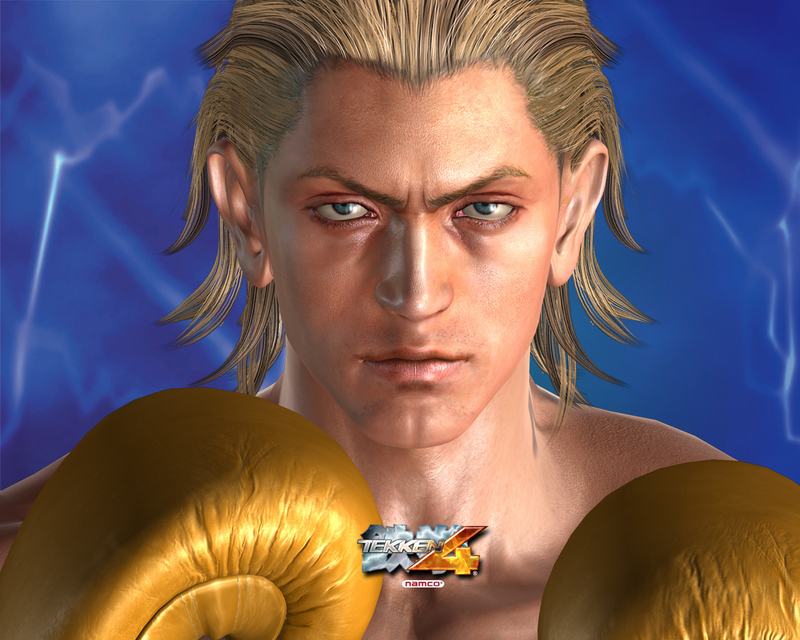 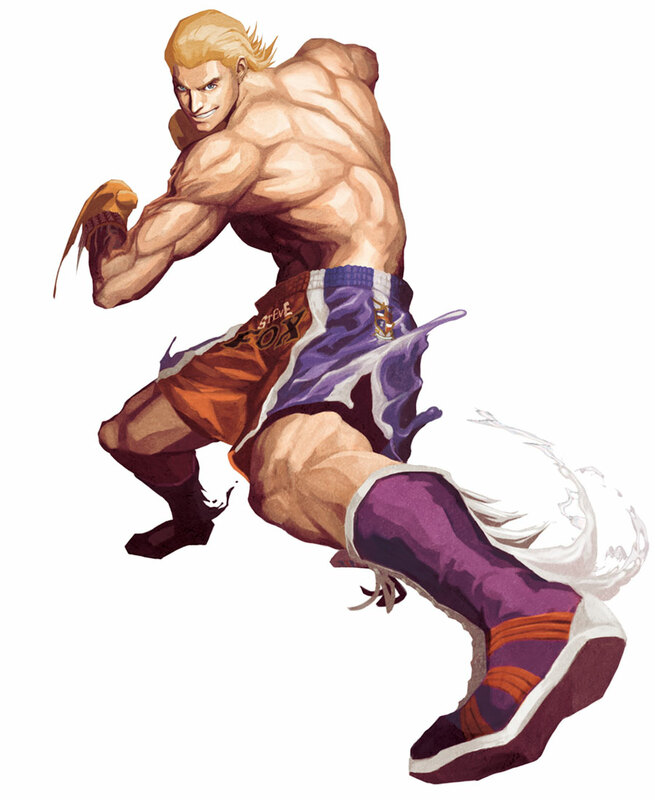 It seems like Namco realized the severe lack of Caucasian boxers in fighting games, and thus, Steve Fox was born. 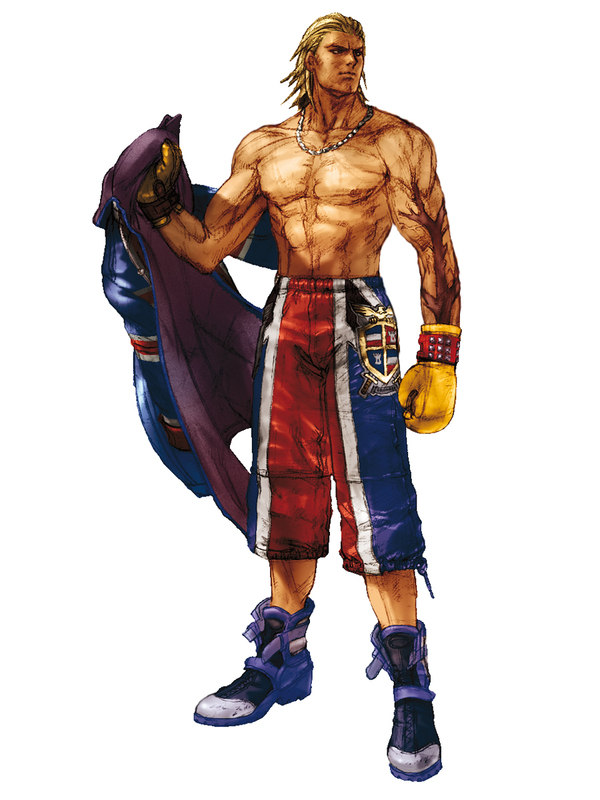 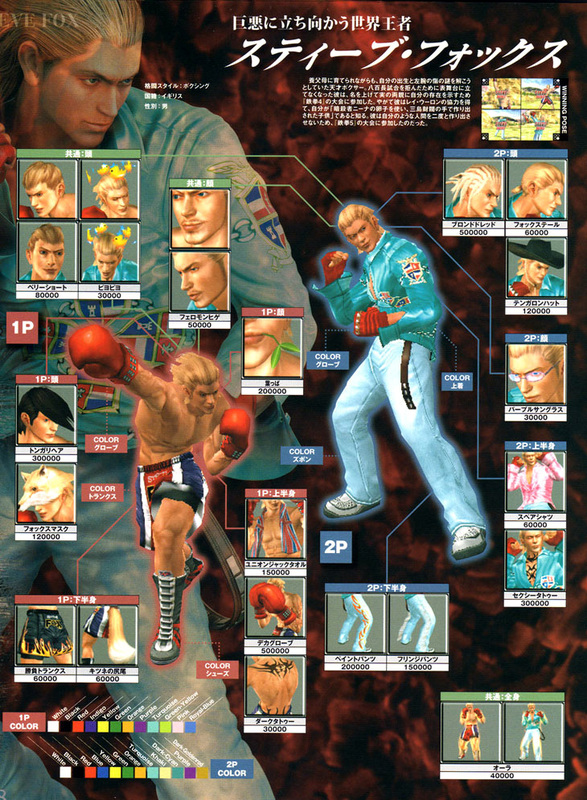 The Tekken series was strangely lacking a boxer up until Tekken 4, a void which Steve proudly filled! 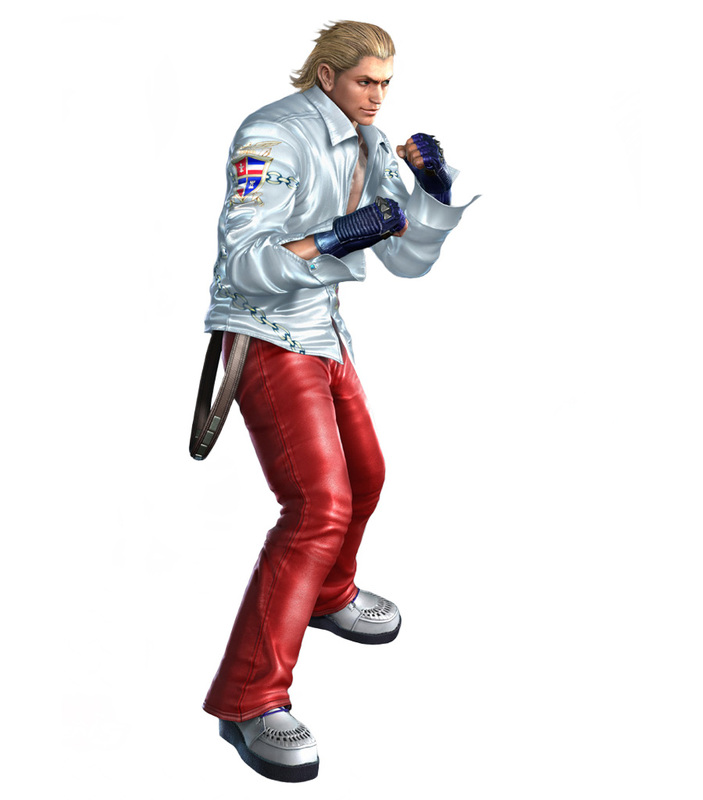 Steve's debut in Tekken 4 wasn't half bad. 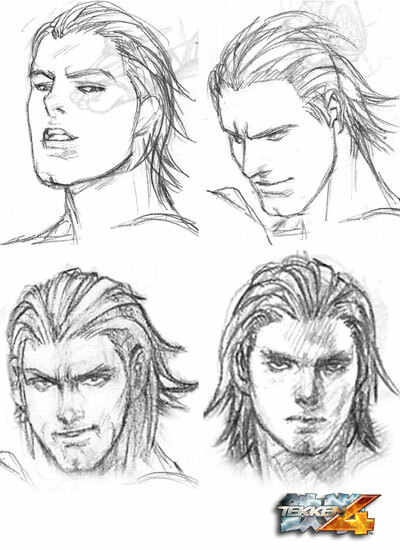 He was definitely a fun character to use, but still needed some time to develop. 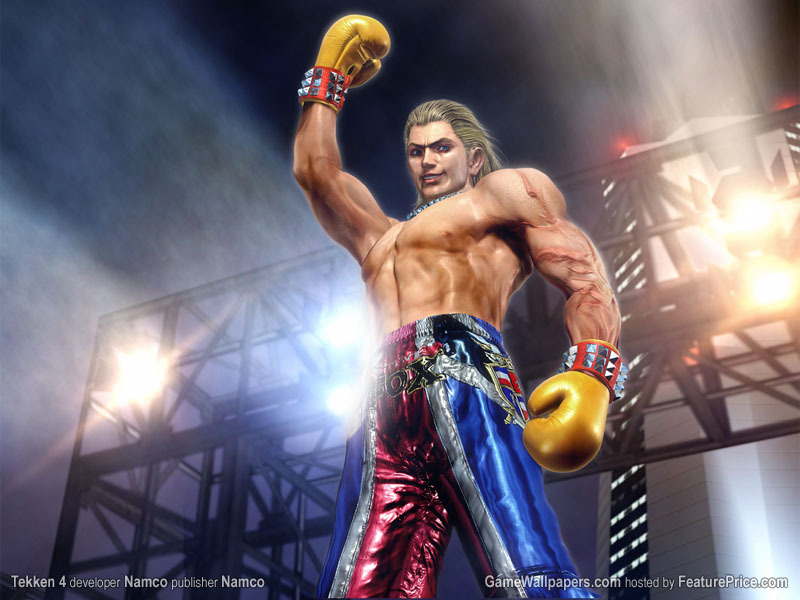 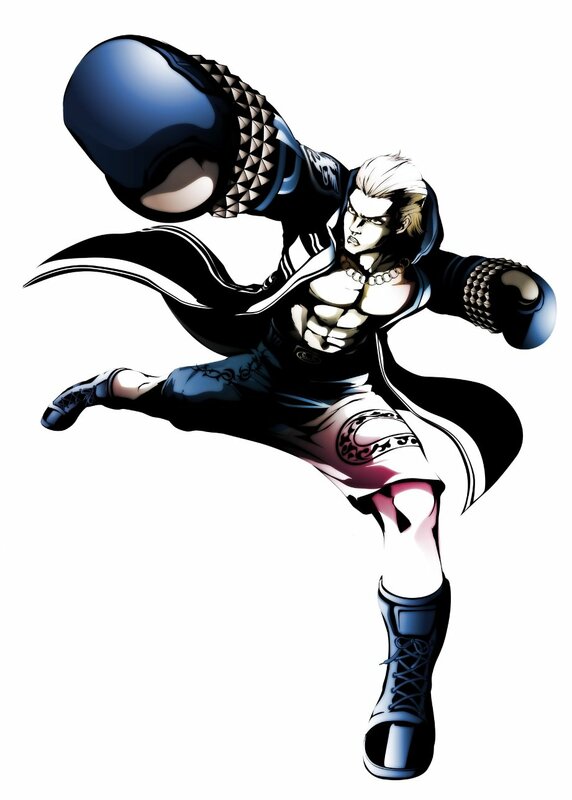 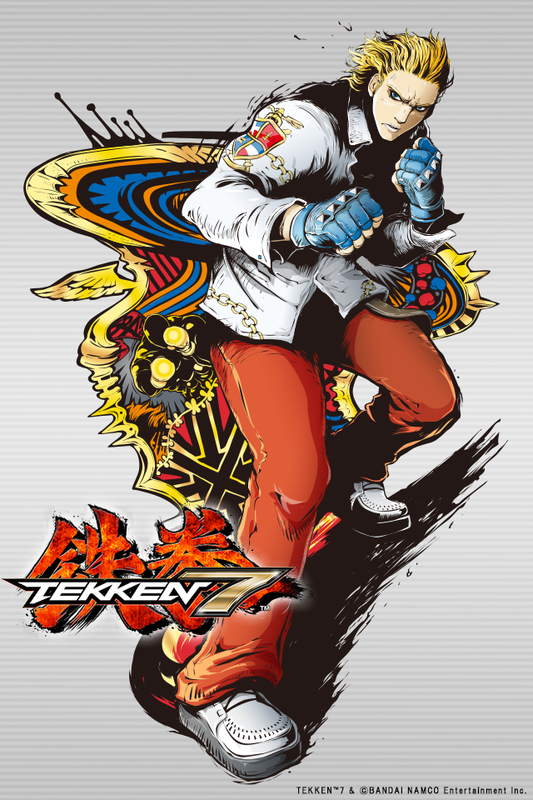 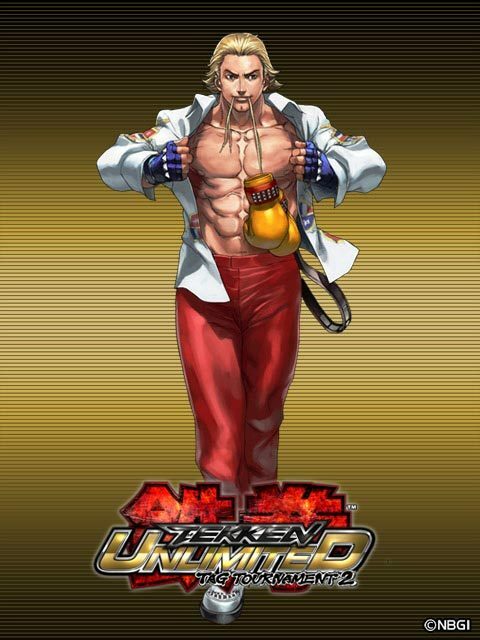 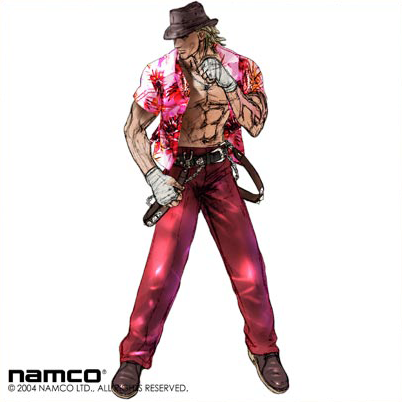 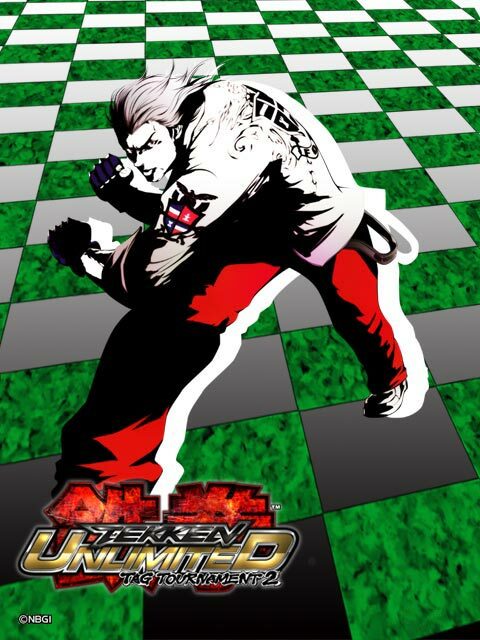 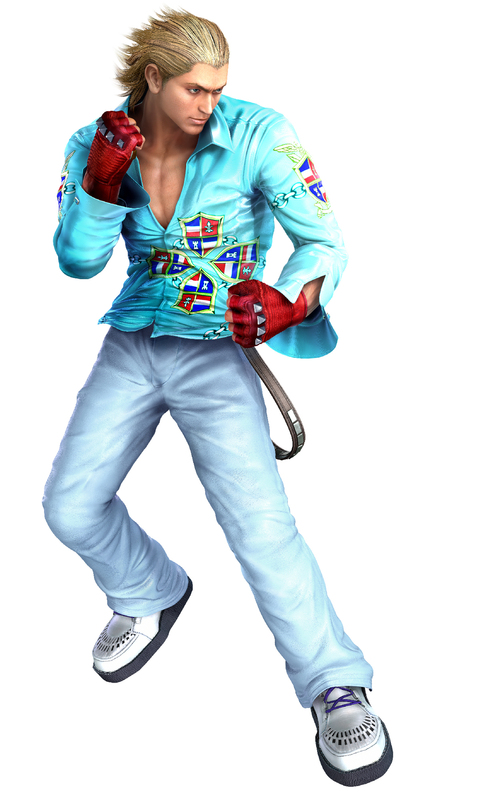 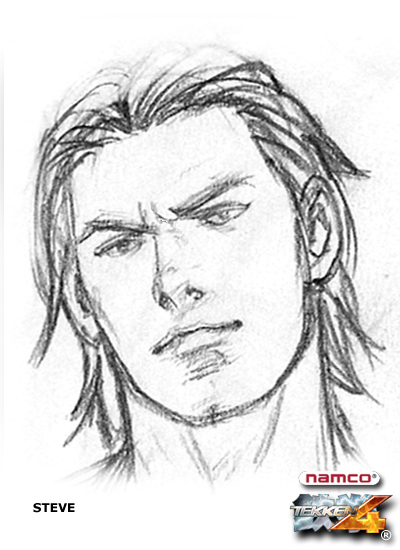 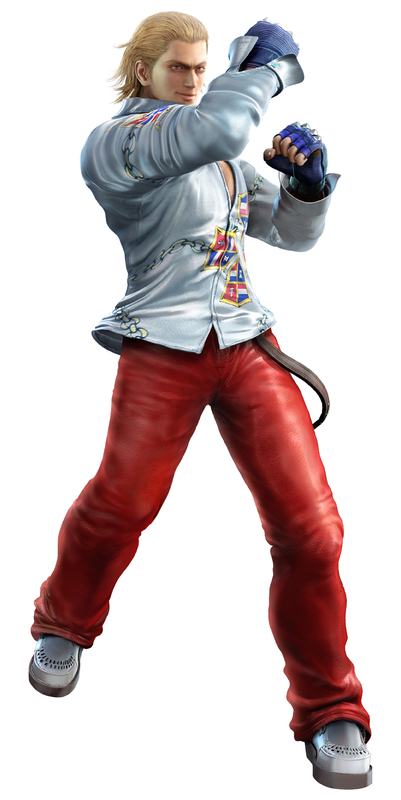 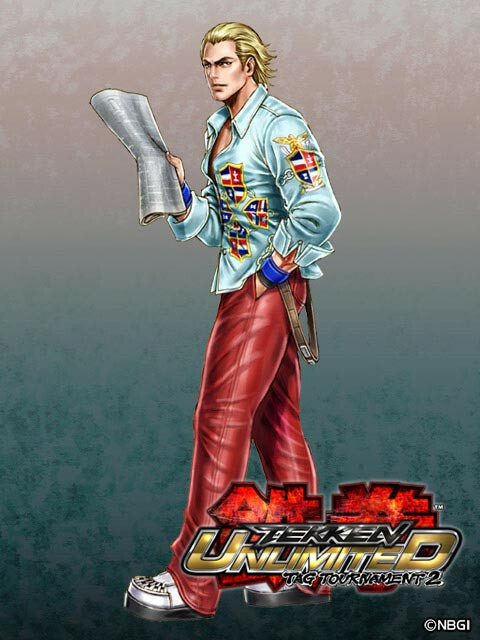 In Tekken 5, Steve was given many new moves and maneuvers, and easily became the most "dynamic," (and in my opinion), the most fun boxer to use in any fighting game (or video game for that matter).